As a defacto coach and tennis parent I always see crazy parents behave in strange matters when their kids play. Yelling, calling balls out, trying to coach, not talking to others, etc. Last Sunday, I sat next to a parent who made me imagine, what if the kid could speak back to the parent in a way that he could make his or her points? What would he say? So, this is what I imagined…. 1. Do you realize that tennis is one of the most unfair sports that there is? I mean we come to a tournament and there is only one winner out of 32 people. My chance of winning is 1 in 32. Do the math, please. few points. Do you realize how nerveracking this is? Yeah I’m nervous. out. What if I don’t have it? is up with that? It’s the weekend! score tells me I made them. I am aware, seriously. your questions and body language tells me you have not. Otherwise you would back off. 7. After I win and lose, can we just not talk about it, I just wanted to play. the majority of the points in a game and still lose it. Get it? 9. I will double fault, because we simply don’t practice it enough. fun. Can you look that up please. Thank you. From now on here are the rules: If I win I pick where we eat. If I lose you do. That is all I want, and to spend the weekend with you. Global Businessman, MBA, untalented tennis player who loves tennis. Played in South America the Cosat ITF circuit and division 3 college player. 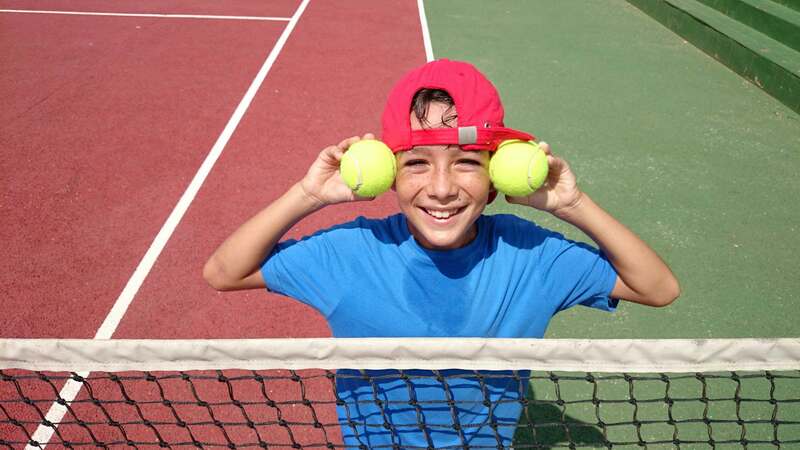 Until I saw my kid in need to learn, did I understand how little I knew about tennis. That is when I decided to learn the game and study it and became a defacto coach. Love the game, love to teach it, but above all love to spend time with my kids and family on the court. I can be reached at jpalenque@yahoo, or @palenquej.